What is an efficient EU lobbying strategy? Are there do’s and dont’s you should be aware of, as a businessman or lobbyist? What is the use made of social media by EU institutions and politicians? Caroline wrote this book after discovering that many of her clients, as well as students, did not have an easily accessible manner to understand the functioning of European institutions. It also stemmed from the very positive responses received from readers of the her blog and participants to her seminars on lobbying, and on the use of social media. 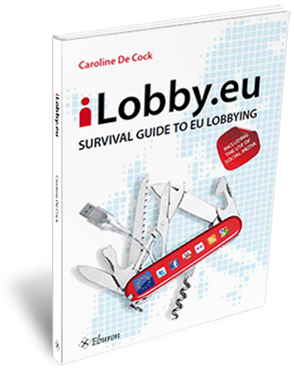 The lessons one can draw from the book are that EU lobbying requires preparation and an approach that is different to US lobbying. Campaigning and influencing also needs to take note of the new social media tools that are available, in order to increase their effectiveness.